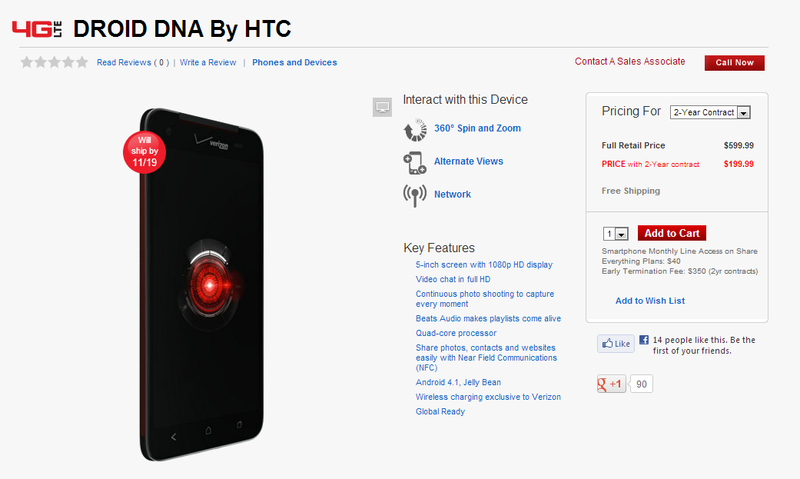 The DROID DNA from HTC is now live and available for pre-order through Verizon’s site. Priced at $199 on a new two-year agreement, this device will likely be met with quite a bit of optimism. It has insane specs and could be just what HTC has needed to boost their US sales figures. It packs the new quad-core Snapdragon S4 Pro processor, a brilliant 5″ 1080p LCD 3 display, 4G LTE, 2GB of RAM, and amazing 8MP camera, Sense 4+, and Jelly Bean. Picking it up or is this not the DROID you’re looking for?